Is PSVR Still Worth Buying? Should I Get It or Wait For Next Generation? “Don’t buy PSVR, it’s a complete waste of money and time” said no gamer or VR enthusiast ever! Most of you reading this would probably fit in least one, if not both of the aforementioned categories, but lets just stop for a minute and try to approach the topic at hand objectively. If you just want the concise answer put in just one sentence then – Yes, you should probably buy PSVR! But we don’t want to prematurely rush you into a serious decision and expect you to just take our word for it, therefore we will present the pros and cons of PSVR – a high end virtual reality headset that has already found its place in over 1 million homes worldwide. Firstly, we assume that you already own PlayStation 4, the prerequisite for the PSVR. In order to enjoy high-end virtual reality content, you need to connect your PSVR to the PS4 via the adapter box. You can then enjoy the titles purchased from the PlayStation Store. While installing HTC Vive or Oculus Rift with all the additional equipment may induce frustration and takes quite some time, setting up PSVR is a piece of cake. It is essentially plug and play. Additionally, PSVR, with all the accompanying devices takes up much less space than the high-end PC VR devices. Standalone headset is currently sold for ~$290, without the camera. With the PSVR camera included, it’s ~$390. The whole bundle, which includes PlayStation VR Move Controllers, PSVR camera, a PSVR game, and the headset costs $449.99. This may not sound cheap at all, but considering that the HTC Vive costs around $600 it turns out to be a pretty good deal. Oculus Rift, on the other hand, is now selling the headset together with the Oculus Touch controllers for $399. It may seem like a better price, but bear in mind that investment in your PC configuration in order to smoothly run the high end VR headsets may cost you up to several hundreds or even a thousand dollars. You won’t have to ever worry about upgrading your hardware if you purchase PSVR. To cover the community part first, PlayStation already established a huge market of players with their existing PlayStation store. What this basically means is that the developers will be ready and willing to produce games specifically for PSVR in the future, since it has already found its way to the homes of over a million proud owners. On PlayStation Store, you can find plenty of amazing games, like Batman: Arkham VR, Resident Evil 7: Biohazard but also many more interesting titles. If you think that these VR games are “so last year”, maybe the announced release of Claws – The Elder Scrolls V: Skyrim VR (available for pre-order) for PSVR platform is something that might attract your attention. 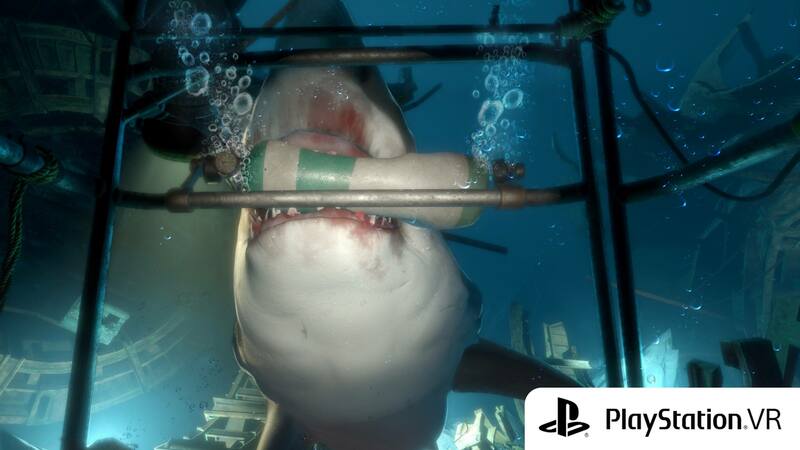 PSVR offers highly immersive and enjoyable high-end VR experience to its users. We already mentioned the benefit of not having to worry about investing in your hardware as you would probably have to if you wanted to smoothly run Rift or Vive on your PC, all the games are developed to support the existing PS4 specifications frame. This being said, the differences in overall performance compared to the PC counterparts are insignificant. You will also never encounter glitches which you might on PC platforms due to your hardware’s inability to timely process the data from the virtual worlds. Now that we’ve perceived all the good things about PSVR, it’s time to point out a few downsides of this overall amazing piece of technology. And this doesn’t go just for headphones, as you also have to purchase PSVR camera and PlayStation move controllers in order to enjoy virtual reality in a proper way. PlayStation Move Controllers and the camera are however included in the PSVR bundle, but you will have to buy headphones separately. 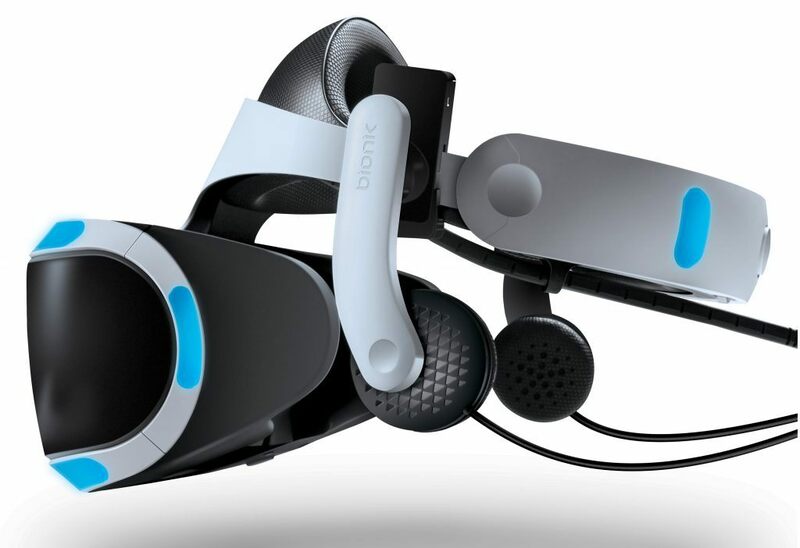 The manufacturers seized the opportunity and created several PSVR audio peripherals specifically designed to fit over the headset. Make sure to check out our list of best headphones for PSVR in order to find a suitable solution for this issue. …they just don’t feel as natural as Oculus Touch or Vive Controllers do. With Rift and Vive controllers seem like an extension of your hand that’s been missing, but with PlayStation Move Controllers this isn’t really the case. You can play most PSVR games with your regular DualShock4 controllers, however for the vast majority of games the use of Move Controllers is highly recommended. 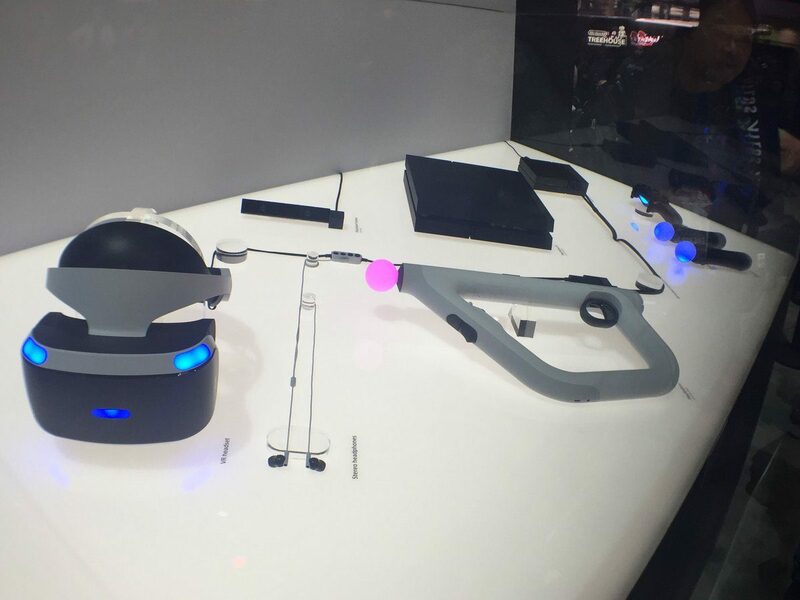 On the other hand, the PlayStation Aim Controller which can be purchased separately, is designed for PSVR games. It’s a great peripheral that takes first person shooter experience to the next level! PSVR camera can only cover a certain, fixed area in order to achieve precise 1-to-1 positional tracking. If you get your kicks out of just sitting or standing still and turning your head around in virtual environments, this wont really bother you. If you however want to walk and move around more while immersed in virtual-reality, the Rift and the Vive offer precise full room scale positional tracking. All things considered, playing games or watching videos using PSVR is a blast! Sony’s device is a great introduction to the high-end virtual reality for new users, but also a good choice if you’ve been using only mobile VR devices so far. If you are already a PS4 owner and want to experience high-end virtual reality, but don’t have a beastly PC configuration, the logical choice is purchasing PSVR. If you get it in a bundle with Move Controllers and PSVR camera, the only expense in the future will be buying camera extension cables and headphones, which cost around $50. Eventually, you may want the PSVR Aim Controller as well, which is rather cheap and can be purchased for $60. 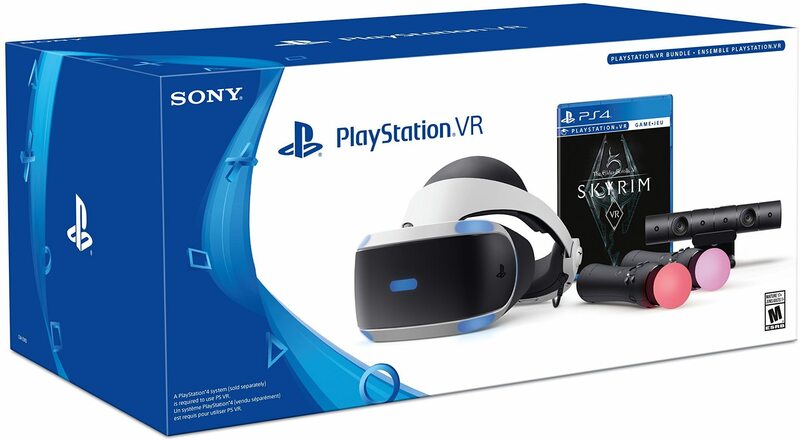 To make things better, PlayStation VR Skyrim bundle is now available for pre-order. As you can see, whatever your choice is, it won’t break the bank, so shop away! Life-long gamer. Civil engineer. Creative writer. I love cooking.